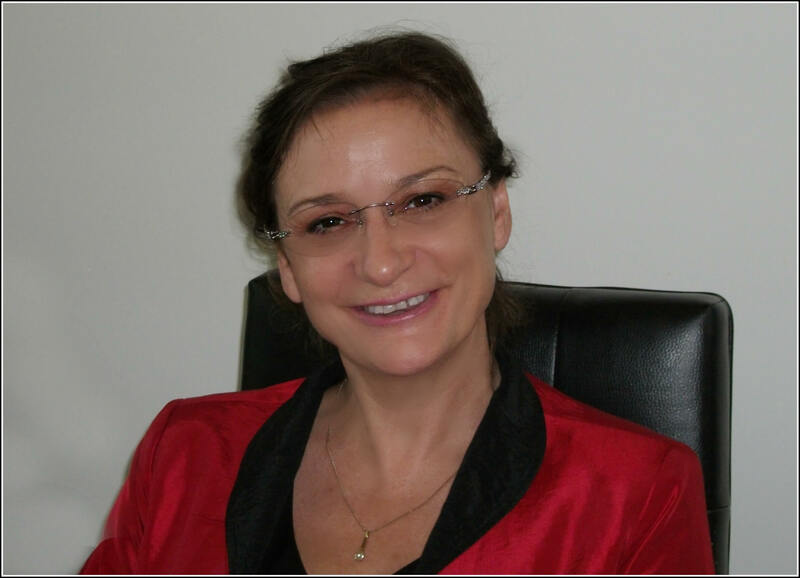 Guest Bio: Sonja Bernhardt, an Australian technology industry identity, holds three management and information technology related degrees. She is CEO of ThoughtWare a multi award winning business and developer of Governance, Risk Management and Compliance software solutions Governance, Risk Management, Compliance software. She has been actively involved in multiple industry related activities and a published author of book chapters and industry articles. In 2005 Sonja was the first Australian inducted into the WITI (Women in Technology International) Hall of Fame.On Australia Day 2011 she was the first Queensland woman to be awarded with one of the countries top honours, a Medal of the Order of Australia (OAM) for services to information technology. Wayne Bucklar: You’re listening to Health Professional Radio. My name is Wayne Bucklar. And with me today in the interest of full disclosure, is an old friend. We’re about to talk to Sonja Bernhardt who I’ve had dealings with for I don’t know, much longer than I care to remember since the days when I was running around in Brisbane and Sonja was even that long ago owner and manager of ThoughtWare. Good morning to you Sonja and welcome to Health Professional Radio. W: Now listen, let me move onto ThoughtWare. Tell us what geographic footprint you service, so that our listeners who are not in your area can sort of get their heads around where we are and then tell us what ThoughtWare does. S: Fabulous, thanks Wayne. Our current client base is across Australia, New Zealand plus we have prospects in Singapore. We assist organizations who provide care for as little as 10 clients to those who care for thousands on a daily basis. And that, in that footprint, spans aged care, community care, disability care, indigenous care, retirement living and hospitals. What does ThoughtWare do? You know that big compliance stick that’s threatens to hit firms and people who stay do not obey rules and regulations, if they don’t need compliance requirement, if they don’t have appropriate governance framework in place or they don’t manage risk – well we help keep that compliance stick at bay with a software that we have developed. W: So it’s sounds an IT company basically, but plugged very strongly by the sound of it into the health sector? S: Absolutely. We’re actually an award winning, multiple award winning software development house and we’re very much in all of the care sectors, yes. W: Wow. So Sonja, just enumerate the product for us. Tell us what it does. S: Okay. The product is called i.on.my it is an evidence based software platform that’s designed to assist all of those industries, the hospital and all of the care industries as well as retirement living, but fundamentally it’s about helping those organizations meet their governance, risk management and compliance needs. Now to meet that, these other things that also needed such as accreditation and human resources, making sure there’s a big focus on delivering continuous quality improvement and then you need the things that all of us as human especially the older aged friends of us that are humans that we need and that is a lot of going to that automation. About alerts, reminders, escalations, monitoring and wrapping all of that out with reporting on everything that we need to know about what we did when we need to know it. W: Now Sonja, you’re pretty heavily connected with some of these organizations. Is that how you get to know what they need in their software? S: You know Wayne that is a fantastic question because mainly today a lot of people think that software development companies and all geeks and I’m happy to put my hands up and say oh I’m a geek, we only know software and that we don’t understand the businesses of the industries that we design the software for but the actual fact we do. We know the issues, we know everything about the policies and the procedures and the overburden of the paperwork. So it’s very much a work of passion as seeing that people in this industries are suffering that they are overburdened and then designing something with the tools that in my industry, we love and we just want other people to use and get incredible value from. W: Now I know you say on your website that ThoughtWare is unique. What about people … who don’t use ThoughtWare, how is it compliance achieved? S: You know in this day in age, compliance is such an increasing requirement, isn’t it? Aren’t you seeing more and more and more requests in things with compliance? So when that type of thing happens in the market, many of us then do pop up and they do generate solutions to assist. So we are unique and we do particularly in those health industries and hospitals for offering the governance, the risk management and compliance and integrating, with all of their other systems through web services but you know in this world, the thing is that people need choices and there are choices out there. Alright of course say we’re the best and being first winning all awards and our clients winning award is an indication that we are the best but people will find their pathways. They can easily ring us and we can help point them that if it’s not us to where is appropriate solution for them. W: Now I’m also looking at your website and it tells me it’s not just the health sector but also an education and childcare. S: That’s correct and in actual fact, ultimately in any industry that is seeking to improve governance, risk management and compliance, our solution i.on.my bring significant benefits. Many for these reasons, you know ultimately everyone is overburdened with rules and regulation and paperwork. And really that’s almost everybody these days, isn’t it? So our solution, we’ll work with people who want more time to spend on what they love to do. So for example in the health industry, our solution helps people have more time to care for the people in their care instead of spending time filling out paperwork and preparing reports. And it works for some other industries for example mining industry, aviation industry. They actually have a totally different industry but the aspect of regulatory requirements and stacks of paperwork and the need to report and the need to provide evidence is in existence across many industries. W: Now we’re on the age where every time there’s, say, an issue that hits the paper the government’s response introduce more compliance governance to at least be seeing to be addressing the issues. One of the things in the health industry that’s being particularly prevalent in Australia because of the Bundaberg Hospital incident with the allegedly unauthorized surgery a few years ago was credentialing. Now does you product keep track of credentials? S: Absolutely. And I’m totally with you there Wayne about at taking action to be seemingly to do action, there’s a whole lot of that. Our system assist with providing credentials and tracking of those and understanding of not only who’s got what but when they due for expiry and sending alert to reminders and escalating if required to get those updating. We’re also seeing some other similar rush of government regulatory requirements in the community care industry at the moment for this thing known as CDC, the “Consumer Directed Care” and many other reforms which ultimately reflects that really doing is it just creating a state of unrest confusion for many people because it’s adding a whole lot of additional burdens and that’s where software like ours and others in this genre of software can make people’s lives easier instead of getting buried under all these new requirements to seek a technology solution that already understand what needs to be done and make life easier. W: You’re listening to Health Professional Radio. 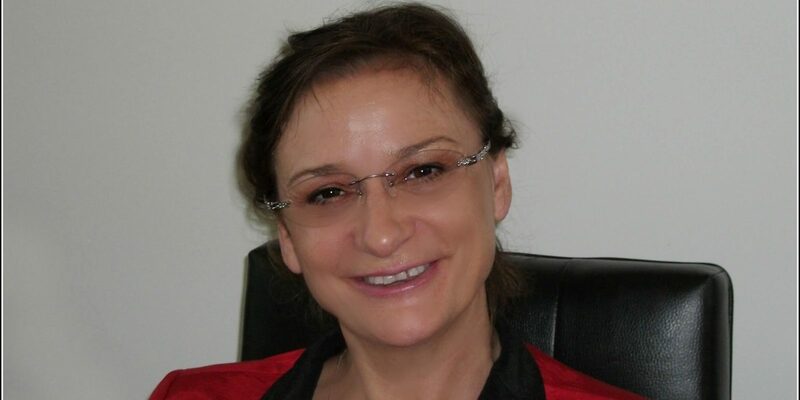 My name is Wayne Bucklar and my guest in conversation today is Sonja Bernhardt CEO of ThoughtWare Australia Proprietary Limited, a firm that provides software to assist with governance in the health and care industries. Sonja does the idea of governance automation as you’re doing extend to smallest specialists clinics and practices or does it need a high volume to make it viable? W: Any company from one to one million people or to be looking at their governance and the actual fact it’s a great question because often the smaller companies think, “Oh no that’s something that only when we get to upsize that’s what we need to start looking at.” So putting aside all the government enforcement of these things, it is just good daily practices for your organization to be framed and structured within appropriate governance and risk management that you yourself will have improved practices. In truth Wayne, do you know we actually use this software in our own company and we’re in software development, we’re not even in health? You know we’re in helping understanding the health industry but because it is valuable to be able to have an auditable evidence base trial of who you are and what you do and how you do it and better than, every individual for everyday to be able to be given your true release and automated reports of what’s going on in your organization make you a better organization. W: It sounds like it would and in the age of litigation, it’s even more vital to have that firm evidence trail. Sonja, I guess my signature question to close with, what’s the biggest misconception about your products and services that drives you nuts and keeps you awake at night? S: You know there’s a lot of software and we’ve had a little bit of discussion about that and there’s specifically a lot there for the health professionals. We have found that specifically in the health industry, people are looking for one system – one mega system that does everything. Whereas in my experience often cramming all function into one system does compromise the design and capability. So what’s often misunderstood or is a misconception amongst people is how easy today it really and truly is to blend systems together to provide an end result that is actually got the look and feel of one interface system. So you know what I think about is that it’s often better for people to think there’s a … of systems and then hook them together via web service to deliver an outstanding result and that’s far better than delaying decisions because you’re waiting for the mega system that does everything. W: Yes I think the mega systems are often very difficult to implement and get to work and in the health industry in Queensland, we point to … one of those problems. S: Yeah I know a little bit about that payroll issue in Queensland Health. W: Sonja it’s been a delight to chat you again after what’s been a gap of many years. We’ll put an interview transcript on our website www.hpr.fm and an audio file up there for anyone who has come in late in and wants to catch up. It would be on SoundClouds. W: Those transcripts and audio files are available for anyone who wants them at no cost at www.hpr.fm. This has been Wayne Bucklar for Health Professional Radio. My guest Sonja Bernhardt, thank you very much. S: Thank you Wayne. It’s been a delight. Thank you very much.